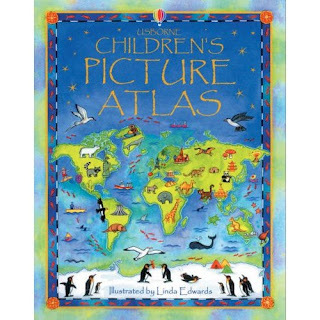 BigGirl's one and only and favorite puzzle on her bookshelf is a wooden puzzle map of the United States. BigGirl LOVES that puzzle. and she knows where all the states go and she knows most of the state names. when we work that puzzle, we talk about state capitals, state mottos or nicknames, flowers, trees, birds, food product, and landmarks of the states. she knows the names and locations of her birthplace (CO), where we live (TX), where both Aunt Sara (CA) and Aunt Jamie (GA) live, and where both of her Great Grandma's live (FL and MN). she knows where Hannah Montana came from (TN). 9. Official state websites, some of them have section with educational activities for kids. My favorite of course is Texas. 10. Kids.gov has a list of official state websites with links for kids. 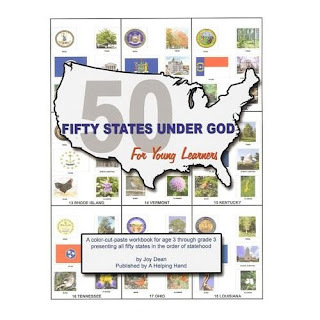 what other resources do you use to teach about the 50 states? share your homeschool / educational tips at FiveJ's Thirsty Thursday, where we work together to raise life long learners!